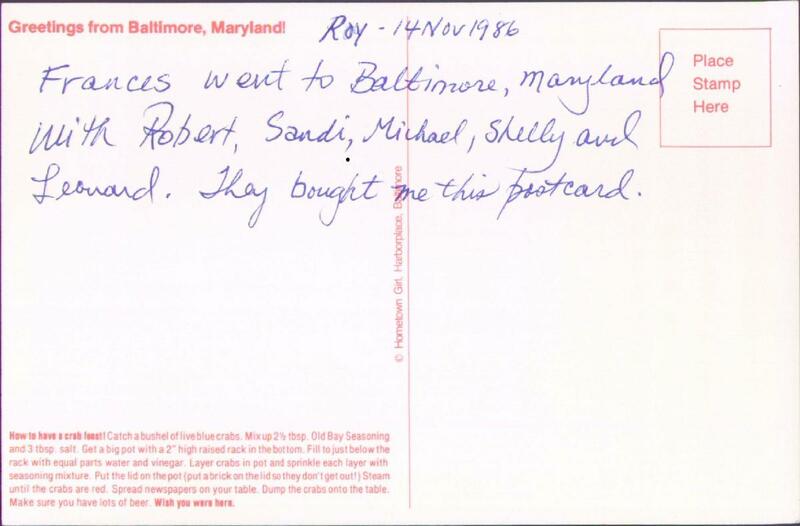 Frances went to Baltimore, Maryland with Robert, Sandi, Michael, Shelly and Leonard. They bought me this postcard. 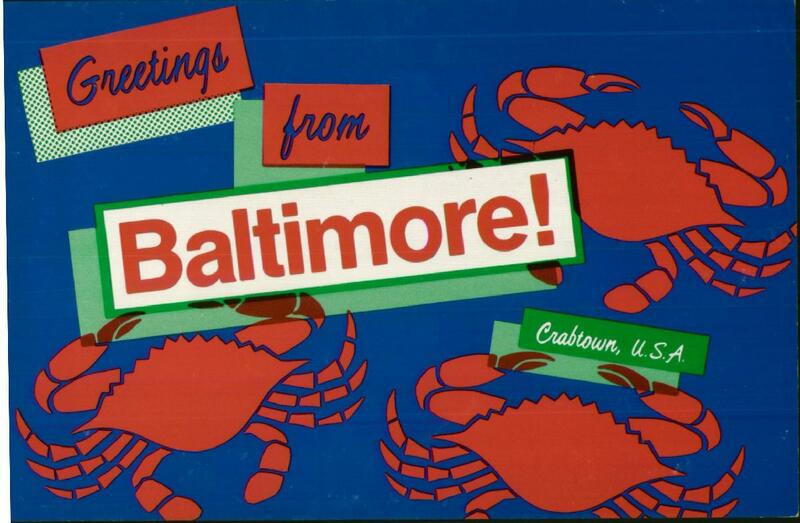 Greetings from Baltimore! Crabtown, U.S.A.